Choose this gorgeous LBD for show stopping style. 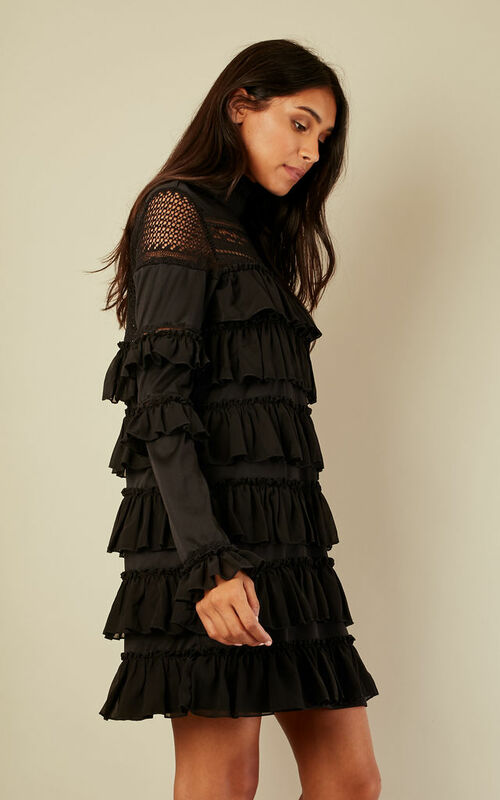 Featuring contemporary ruffle detailing and an elegant high neck, it's the perfect dress for any event. Team with heels to complete the look.